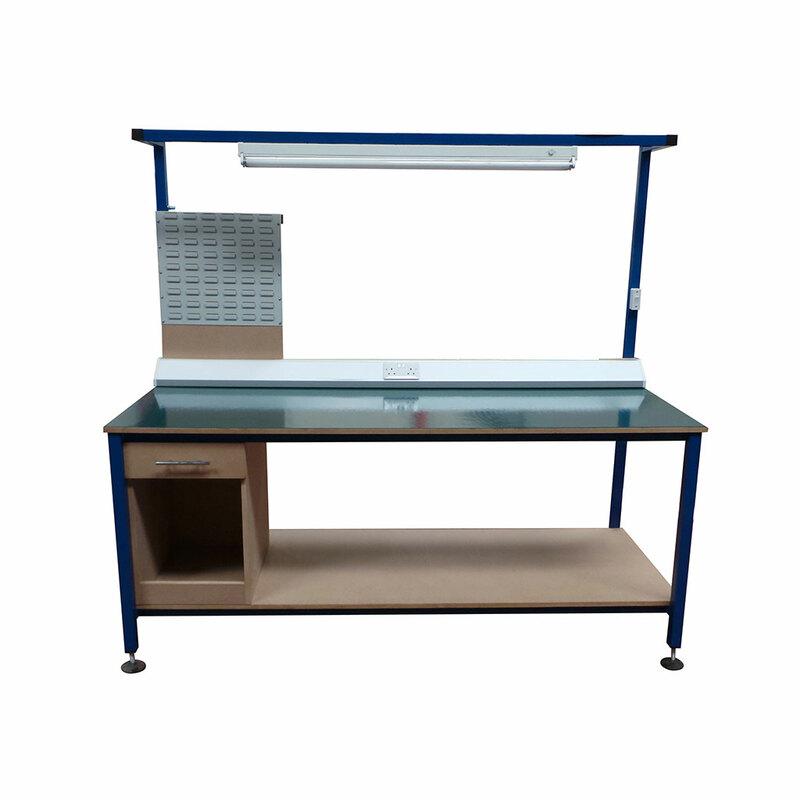 Standard Duty Packing Table with a range of our modular accessories included. 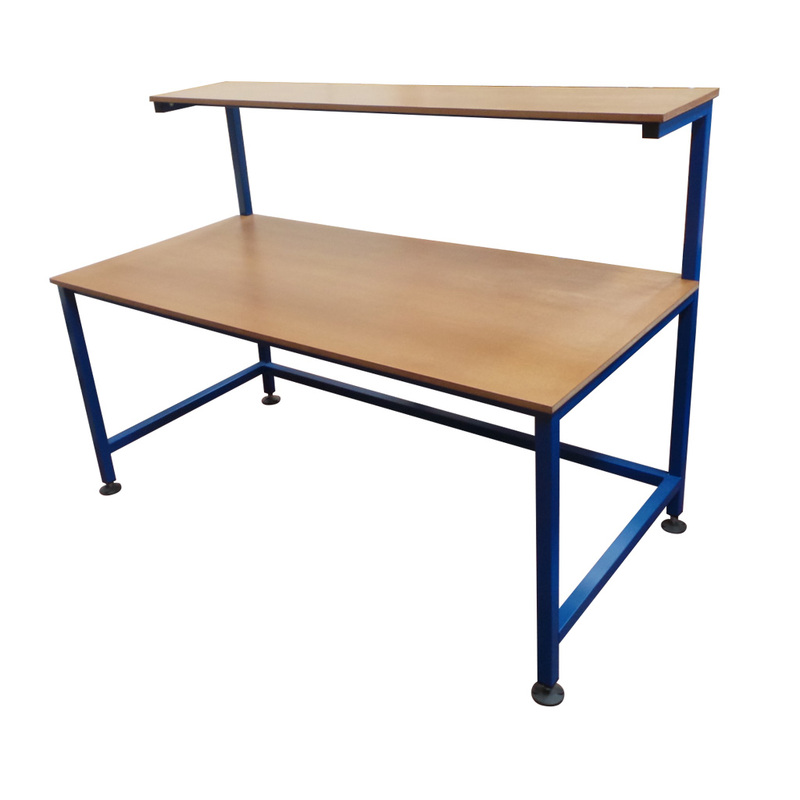 This table includes a PVC topped MDF surface with a lower shelf, cupboard and drawer underneath. On top of the table sits bench top trunking with a 13A twin socket, above is a louvre panel and lighting rail with light and switch included. 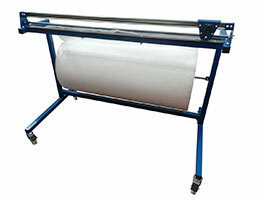 This price is for a 2000mm x 1200mm sized table. 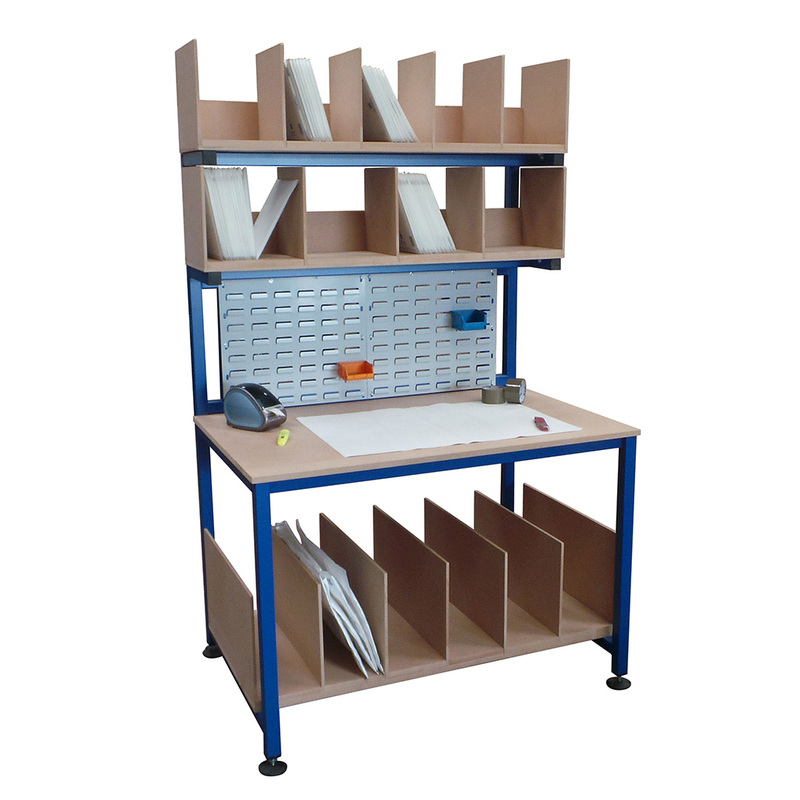 Standard packing tables are made to order, if you require non standard heights and sizes please contact our sales team for a free quotation. The standard lead time for these tables is 2-5 working days but please be aware that depending on quantities and accessories added to your bench, that this lead time may change slightly. Once we have received your order we will send you an order confirmation with your accurate delivery date.